1) There were mentions of "whiskey" in the debut cases of Rumi and Wakita, similar to how there was a mention of "bourbon" in Amuro's debut case, foreshadowing / hinting that he was Bourbon. Whether there's someone named "whiskey" in the BO, it's unknown. 2) The boss is Karasuma Renya, as confirmed by File 1008 and SDB Black+. Maria Higashio is but a classmate of the DBs introduced in a case over 10 years ago but who's barely appeared in the manga. Mostly has been a simple background character with no speaking role. Some people thought that her being in the case with the boss' reveal had some relevance but IMO it's over-stretching things. She just worked as character to introduce the "treasure hunt" story. 3) Iori is just a sidekick to Momiji and it's there for the love triangle plot. He was introduced in a mysterious manner but that was because if he was introduced with his real name (even while disguised) we'd know that he was related to Momiji (due to both of them being inspired by a manga named Chihayafuru). He's not a RUM suspect, as confirmed by SDB Black+. 3) Iori is just a sidekick to Momiji and it's there for the love triangle plot. He was introduced in a mysterious manner but that was because if he was introduced with his real name (even while disguised) we'd know that he was related to Momiji (due to both of them being inspired by a manga named Chihayafuru). there was no direct mention of "Whiskey" in Wakita's intro. Momiji was inspired by Chihayafuru. Her surname and "Iori Muga" is an inspiration from Echizen TV show (and Iori seems to be heavily inspired by Sebastian from Kuroshitsuji/Black Butler series). Well, it wasn't directly whisky but it was highball, wasn't it? Japanese highballs are often made with Japanese whiskeys or mixed with other drinks. Spimer wrote: 1) There were mentions of "whiskey" in the debut cases of Rumi and Wakita, similar to how there was a mention of "bourbon" in Amuro's debut case, foreshadowing / hinting that he was Bourbon. Whether there's someone named "whiskey" in the BO, it's unknown. so iori is only an additional character or entertaining character, there is no connection with the black organization? Maria Higashio is smarter than detective boys? if it has solved the treasure hunt, did he intentionally start or ruffle the code in his house? Last edited by Spimer on January 28th, 2019, 7:47 am, edited 1 time in total. not confirmed, since the Rum arc mysteries aren't resolved, so we can't say yet. The treasure hunt code was very simple, anyway. It was intended for her to solve it, anyway. It just happened that the books were out of place due to an earthquake and that the DBs didn't understand how the bird worked like but apart from that it wasn't any big deal. And her explanation of why she couldn't come out wasn't odd, it was due to the nature of the door as Conan explained. So I don't think there's any need to look deeper into her character. Iori got no mention in the SDB+ Black so it's very possible that both he and Chikara Katsumata (the shogi player Shuukichi dueled) are totally unrelated to the BO plot. That's the trick KID keeps using with his disguises, squatting to make it look like he's shorter. Regardless of who he is, he is hiding something. 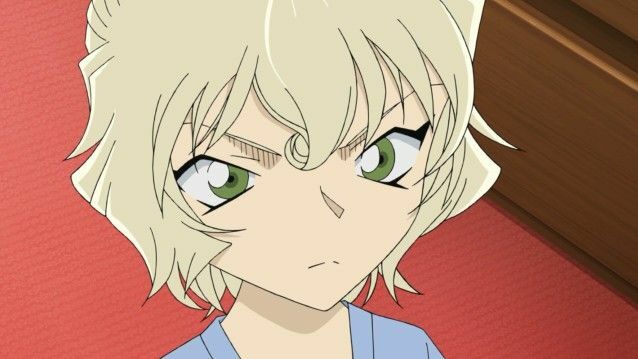 He's throwing me off because the sea and ocean motif both reminds me of Masumi [a lot of her cases deal with water or the ocean] and of how rum is associated with oceanic stuff [pirates and the British royal navy especially]. Edit- He also uses the same expression that Kuroda does (at least in translation), "please take care of me," asking it of Amuro while Kuroda asked it of Conan. Interesting parallel. PhantomWriter wrote: Wakita is squatting again. Well, here's hoping we get something by the end of the case that'll give us a clearer picture... 'cause I'm kind of stuck on him, too. I don't know whether he's Rum, whether he's Tsutomu, or—dare I say it—whether he's actually both. If he's Tsutomu and not Rum... then that leaves us with Hyōe and Rumi (taking Gosho at his word that Rum is one of three people—Hyōe, Rumi or Kanenori)—two people who each know things that one would think Rum would've acted on, by now (Hyōe knows Bourbon is NPA, knows just how intelligent Shinichi/Conan is, and seems to be aware of the plan the Kudos likely proposed to Bourbon when he broke into their house; Rumi is a hair's breath from both Shinichi/Conan and Shiho/Ai, has even been testing the former's intelligence, and even seems to have worked out his identity). If you forced me to pick one... I'd say that if Kanenori's not Rum... then Rumi is the most likely to be Rum. If he's Rum and Tsutomu... then I guess that'd be a big twist on the Gundam basis, right? 'Cause Char's dad was actually dead the whole time and not faking it at all, right? I'd be all for the Rum = Kanenori = Chikara Katsumata theory to be proven right, but I'm not holding my breath on that one—the odds of it happening are pretty slim. What if he is the one who exposed Scotch? 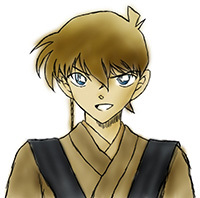 This would make his encounter with Bourbon, and how he is acting somewhat watchful of him (as if Bourbon could be a traitor), as well as how Koumei (Scotch's brother) is getting involved, even more significant/ironic/fateful, apart from it's Rum-mislead purpose (pretty typical of Gosho, just like in the Betrayal series, where they all had tangled pasts with each other). I bet that flatcap was a souvenir from a certain country brought up in the previous case, when he was dealing with a certain someone also brought up in the previous case. Well, we've yet to go into that, so if Kanenori is BO but not Rum, this could be the case. A Fan wrote: Is RUM certainly amongst the trio of Kuroda, Wakasa and Wakita? Gosho Aoyama wrote: It is, indeed! Straightforward enough for me... but hey, I'm up for alternative interpretation. In the previous case we got a big reveal. A) Tsutomu and Mary are meeting with each other and Mary for sometime knew that Tsutomu is alive. 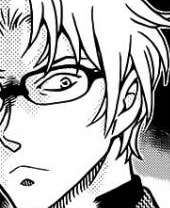 B) Wakita's traitor remark is more like a warning to Bourbon coming off from a fellow traitor. If you really want to expose a traitor the best thing is to keep quiet. E) That somebody is possibly Wakita. And that, right there, is the key part—"ready to accept." I'd like for Gosho to not "repeat the Bourbon arc in a very loud and extremely predictable way," too... but if he does... then that's that, and I'm gonna have to roll with that.